ALL ABOUT CEIL: Fragrant Garden : is there a drop in the standard? Fragrant Garden : is there a drop in the standard? Fragrant Garden has a long history. 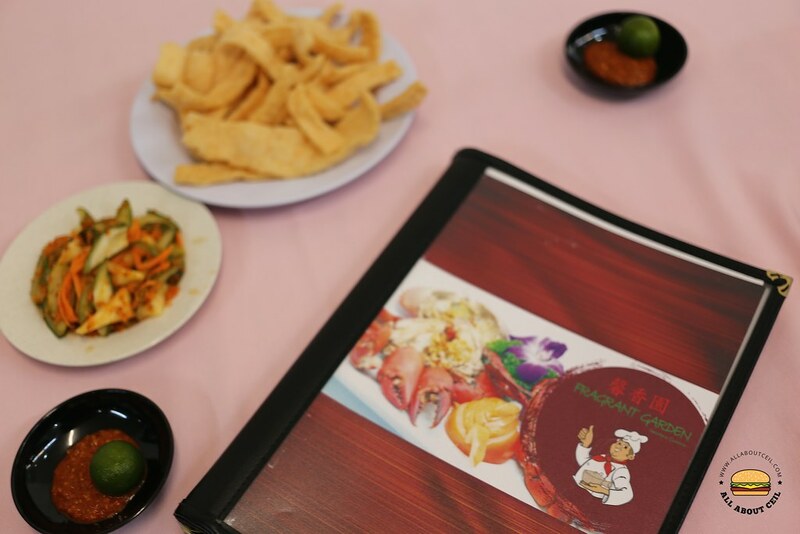 They began in Geylang Serai Village in the 1950s when Mr Koh Ah Liang, the boss, was a teenager in his secondary school days. 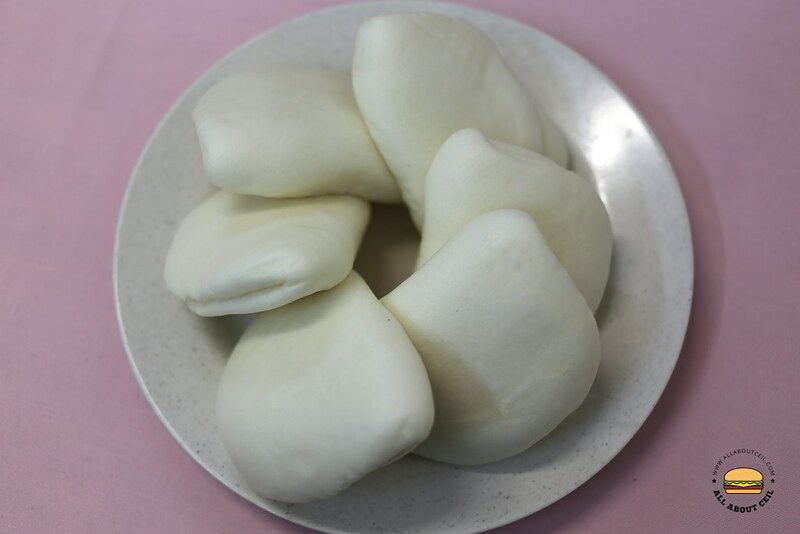 Madam Yeo, his mother, a native from Shantou in China, decided to earn an extra income by making authentic Teochew rice cakes and kueh tiao to sell and Mr Koh would help to deliver it on a bicycle to their customers in the neighbourhood. 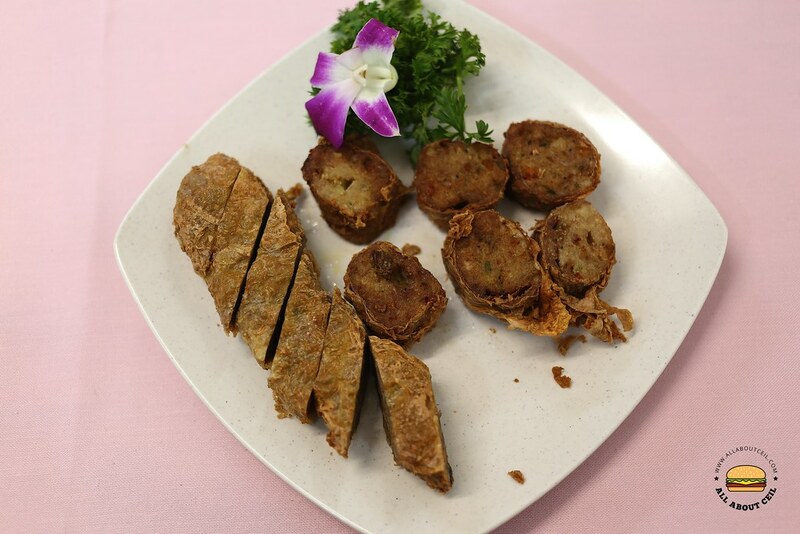 Mr Koh mastered the art of making these Teochew food items from his mother and he founded the Sing Siang Yuan Catering Services in 1988, a humble Zhi Char stall located in Tai Seng Avenue industrial park for about 25 years. They also operated a kitchen in Defu Lane for food catering from 2001 to 2006. 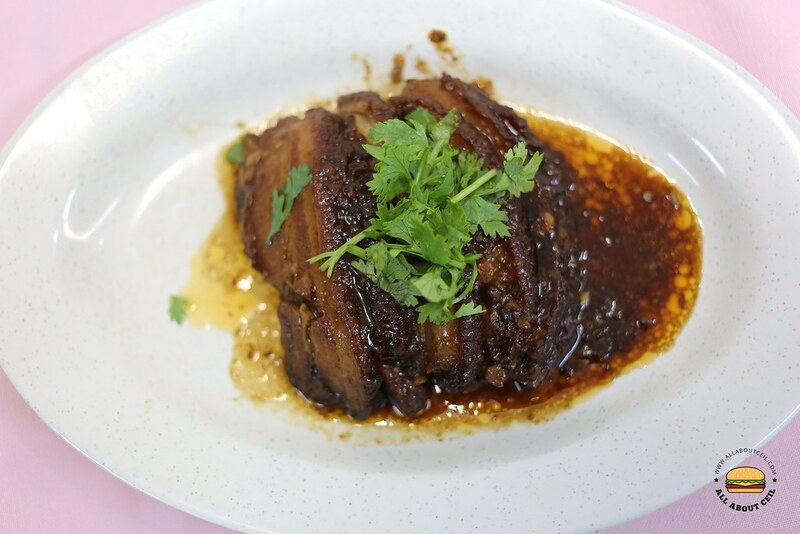 In 2006, Mr Koh took over a shop space in Teck Chye Terrace and converted it into a Teochew restaurant serving Teochew delicacies and local delights. It was renamed as Fragrant Garden at that time. In May 2012, they relocated to Serangoon Shopping Centre. 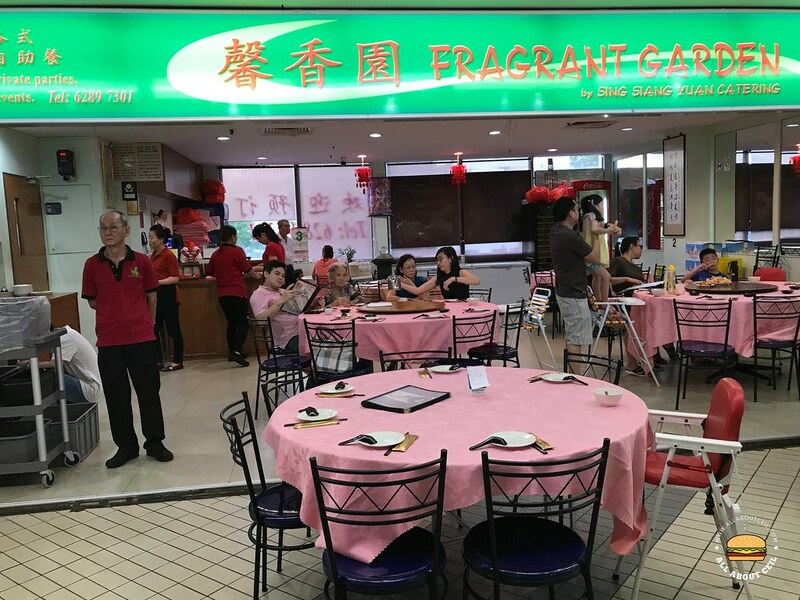 I was at Serangoon Shopping Centre to visit the newest outlet of Soi 19 Thai Wanton Mee and decided to have dinner at Fragrant Garden thereafter. The tables were quickly filling up when nearer to dinner time and I was even asked whether I have made a reservation. We were ushered to a table for 4 right at the corner, just outside of their kitchen. 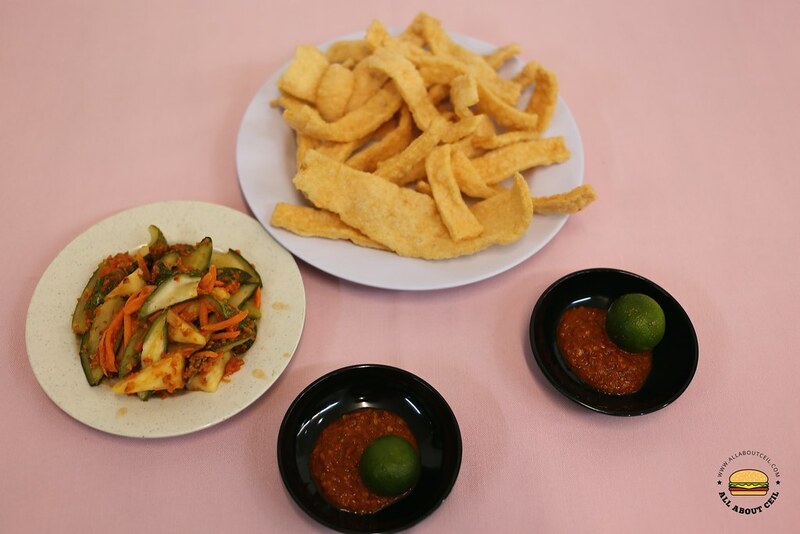 The service was attentive, the menu was presented together with a plate of prawn crackers and a plate of azchar with Belachan Chilli. This was our first visit so we went for their signature dishes like Fried Kuay Tiao with Chai Por ($5), Oyster Omelette ($14), Liver Roll & Prawn Roll ($12) and Braised Pork with Steamed Bun ($12). All of the items came too quickly at almost the same time and that left us with not enough time to finish the prawn crackers and azchar. We enjoyed the prawn crackers and we even think that was the best dish of the night, even better than those signature dishes that we ordered. The Braised Pork with Steamed Bun came with 6 pieces of braised pork and 6 steamed buns. We did not like it as much as we felt the 5-spice flavour was a little overwhelming but even so, the meat was cooked well to achieve the right tenderness. 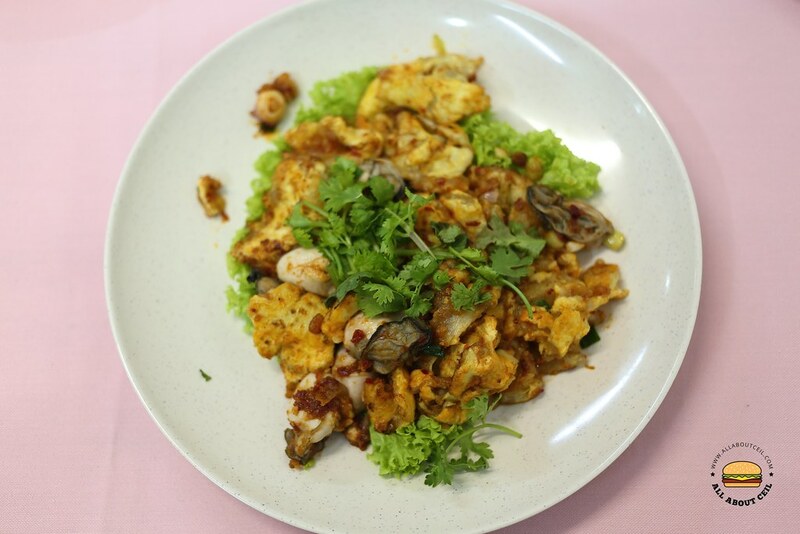 Their Oyster Omelette was not bad if it is eaten with the chilli but was slightly plain if eaten on its own. It is quite similar to what we usually get at the food centre. It was not too starchy and is served with generous amount of eggs together with a handful of rather plump and fresh tasting oysters. We were told that chilli is added but we can choose to go without it, we went ahead with it nonetheless. It turned out the level of spiciness was rather manageable though and even my dining companion that does not eat chill has no issue eating it. We also ordered the combo of their ngor hiang and liver roll. We did not like either of it as the flavor for both rolls were dominated by the extreme saltiness. 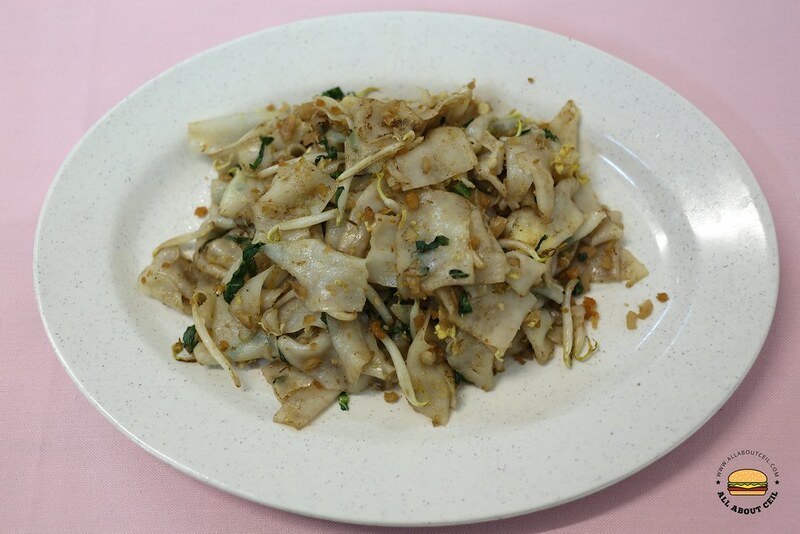 The most disappointed have to be their Fried Kuay Tiao with Chai Por. It was quite dry and the chai por was lacking in flavour and what we could taste was just the saltiness. Since this was my first visit, I would not be able to tell is this their usual standard or is there a drop in the standard? Overall, it is quite disappointing.